No Fibs Co-Publisher, serial entrepreneur and geek. I have worked in digital media in various roles for 15 years, I am fluent in 5 languages, passionate about technology, media, politics, environment, business & paella. Also the World's Best Dad as per my daughters:). We do not inherit the Earth from our Ancestors, we borrow it from our Children. We're all in this together. Let's fight the good fight. This is the second in a new No Fibs series edited by Margo under her collaborative thesis. The first piece was by Michael Burge … and the next one will be by Tim Dunlop. The Fifth Estate might be new kid on the block, but it already packs a mighty punch above its weight. Everyone on social media is a publisher. There are many communities online that you can join such as YouTube, Twitter, Facebook and various blogs. They all communicate via their preferred format, whatever is relevant to them and the people they want to engage with. The mainstream media (MSM) is just one of these many tribes who produce content. Some good, some not so good. In 2009 I joined Twitter as @geeksrulz. In December 2012, I started the No Fibs citizen journalism site with Margo Kingston. Both are publishing channels. I probably see myself more as an online activist, or as some like to call it – a keyboard warrior – using today’s digital tools to hopefully create compelling, engaging messages. Digital tools such as WordPress, Twitter, Storify, Photoshop, video or audio editing software help us create digital content, but in the end it still is and always will be the message that counts. So the aim for me is to use the best tools for the job. 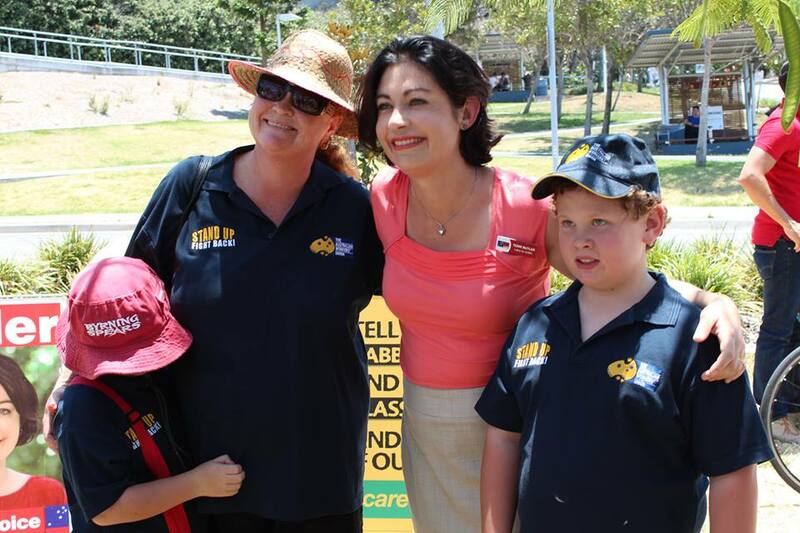 The job is getting my desired message across to the online community that I want to engage with. As a co-publisher with Margo for No Fibs, I use my technical skills to help others get their messages out as well. So if some of our contributors struggle with the many digital tools of today, then I can help them with that. I see my role as that of an enabler, a facilitator for No Fibs contributors who we believe have worthwhile stories to share with the world. My own preferred platform and format is Twitter. The short form suits me best I as it is more like a natural conversation for me. More natural than writing a long piece like this. I have written before about my approach and philosophy on how I use Twitter. That story was about outing myself as the person behind my then anonymous Twitter persona @geeksrulz. It has been quite a journey. Here I recount some of that journey. Like many people I joined Twitter on a whim, in 2009. It was after hearing about Twitter in a technology podcast which explained how this micro-blogging platform was apparently taking the world by storm. Its social media success was partly due to the ease with which people can connect, share links and express ideas in 140 characters, as opposed to doing so in a longer form, such as a blog post, which is often considered more difficult. At first, Twitter seemed silly to me as most people were tweeting about what they were having for lunch or where they were having coffee. It took me a few months to come back to it again. I did it just for a bit of fun tweeting about news and politics. What stood out for me back in 2010 was the live coverage on Twitter of the Rudd coup and the subsequent 2010 federal election. The Rudd coup essentially broke on Twitter via Chris Uhlmann. At first I was very dubious of the ‘rumours’ being circulated on Twitter, but very soon the TV channels were breaking programming schedules to go to a live coverage of the Rudd coup. Kevin Rudd’s leadership is under siege tonight from some of the Labor Party’s most influential factional warlords. Watch ABC News. NOW! I felt privileged to be able to be able to be witness to and experience that historic moment live on Twitter. The Rudd coup took all and sundry totally by surprise and it was an incredibly fast-moving story. The first draft of history, so to speak, was being written right here live on Twitter in 140 characters. So much fun. I loved every minute of it. This lasted less than two months for me, until the 2010 federal election. The MSM coverage and the campaign itself was mostly bland, boring, and pedestrian. The reason for this was the tightly-controlled news cycle management of the politico media complex. It was like a machine spitting out the same old plastic throwaway products. The campaign and the reporting had no real story, no soul and no authenticity. There was even a need for a ‘Real Julia’ moment. This sense of unreality permeated what was a highly-produced campaign show. Problem was, the audience for this awful pre-packaged media and politics product was shrinking fast. The ABC News 24 channel had also just launched and it was showing complete live press conferences. This allowed the audience to see, maybe for the first time, how sausages were being made by the politico media complex. People could see what became of the extended source material as it was routinely chopped up and condensed into convenient sound grabs and footage to fit into the one- to two-minute news segment format. The resulting product shown on the news would hardly ever do the subject justice. Quite often these short segments would miss the story or distort it to the point of being unrecognisable. The process and outcome was the equivalent of trying to use three-word slogans to attempt to explain a complex world. As we know, Julia Gillard formed a minority government after 17 long days of negotiations and 17 long minutes of Rob Oakeshott’s announcement speech. This was my tweet on the morning of the announcement. The MSM’s performance from 2010 to the 2013 federal election is the worst I can remember in my time following news and politics. This is a comment on the quality of the journalism and cannot be blamed on the massive technological and business changes that the industry was and is still going through. It goes without saying that major stories like the Rudd coup, the Gillard leaks and the neverending leadership infighting were genuine news stories and needed to be told. Quite often though, when a newsworthy story lost its novelty, and was therefore less interesting to the audience, journos and editors kept flogging it way past its news value. It’s my belief that this was generally because they were either too caught up in it and/or they had invested too much in it to justify letting it go. What they failed to grasp is how they bored their audiences to tears with this ‘Groundhog Day’ news reporting. The Rudd-Gillard leadership fights, lovingly called #leadershit on Twitter, was one such case in point. My understanding is that there were actually Rudd camp journos and Gillard camp journos running agendas and leaks on behalf of the side they were supporting. Where were the detached, objective reporters on that story? Against this backdrop, I started to consume less and less of this plastic media and was drawn more and more to the more authentic social media and its commentary on how news was being presented. In the past we had no option but to put up with this sad state of journalism, and if unhappy with the media, we, the audience, could yell at the radio or TV but had to ‘cop it sweet’. Today we talk back via Twitter, Facebook and blogs in what can be loosely referred to as ‘new media’ or the Fifth Estate. The Fifth Estate, to me, is the genuine article, because it comes from the audience itself. It is the voice of that audience, and who knows better than the audience what type of information product they want to consume? I found myself drawn more and more to alternative voices from the Fifth Estate speaking with a freshness and authenticity that was missing from the mainstream media. Voices such as Tim Dunlop, Andrew Elder or Jim Parker with their brilliant insights and analysis of media and politics. I also longed for the good old days of Margo Kingston and her quality SMH Webdiary during the Howard years. What had attracted me to Webdiary in those days was the genuine attempt to thrash out an issue on its merits not the tedious and false left- right-type framing which is especially pronounced on the ABC. Also new to me back then were the links to original source documents from transcripts to press releases to court documents. This allowed readers to review the source information and facts for themselves and maybe even come to a different conclusion to the MSM narrative. A shocking state of affairs, I know! A violation of the ‘Holy Mainstream Media Narrative’ doctrine. Here was a first online attempt at digging deeper and finding a more sophisticated understanding of the issues being debated, regardless of the agendas of big political parties and media companies. I had been an avid reader of Webdiary but I wasn’t a big commenter, although I did feel compelled to contribute my own story at one stage, which Margo duly published at the time (Mate, where is my country?). My search for Margo on Twitter eventually found @margokingston1. From her bio and from what I knew had become of her after her retirement from journalism, this sounded like the right person. I followed her account as you do on Twitter. One day, out of the blue I received a tweet from Margo and the below exchange occurred. What we didn’t know at the time was that this little twitter exchange was the beginning of a beautiful friendship and a great new venture: No Fibs. As Margo says in her own story (A question of character?) she was drawn back to comment on politics in November 2012, after Tony Abbott accused Julia Gillard of lying about a slush fund and using up a whole week of question time in Parliament on it. Margo knew for a fact that Abbott had brazenly lied about his own Pauline Hanson slush fund but none of this rated a mention in any of the media reports. The past was a foreign country not just for Abbott but also for the MSM. Margo was shocked at the state of journalism, seeing it with a new and fresh perspective after coming back from her self-imposed seven-year media exile. Something had to be done about this, over and above the standard Twitter outrage. So when a discussion ensued about possibly starting a citizen-based news and opinion site, I gladly offered my services to help start this new venture. To me it was an opportunity to tell the stories that the MSM wouldn’t tell or refused to tell for whatever reasons. What used to be hard in the days of Webdiary was now infinitely easier. Within minutes, I had set up a WordPress site that we called initially Australians For Honest Politics, the name that Abbott had used for his Hanson slush fund. The next month, after the Slipper-Ashby court ruling, Margo tweeted that this was a massive story which was going to be covered in great detail and analysis by the MSM. A lot of people on twitter predicted correctly that it would not be covered in any great detail or possibly at all. That was exactly what happened. No-one properly covered this massive development after an 8-month marathon campaign against Slipper and the Gillard Government. As soon as we reported the story on our new site, No Fibs became an alternative to the MSM. I created a Storify and a video of the The Daily Telegraph coverage of the Slipper scandal and Margo lodged a successful complaint to the Press Council. So in November 2012, Abbott’s blatant hypocrisy got Margo angry. That anger caused her to come out of retirement and start ‘Webdiary 2′ (No Fibs). Lesson for conservatives: Don’t get Margo angry with your blatant hypocrisy. Social media, Twitter in particular, in addition to trolls, has a wonderful array of engaging interesting, witty and clever people to offer their insights on current topical issues. Some are professionals, academics and experts in their fields who contribute valuable knowledge. One such expert is IT geek Kieran Cummings who wrote a piece on Why Murdoch’s media is gunning for your NBN. It was our number one story on the WordPress site for quite a while. It seemed odd at the time that no-one had drawn the obvious links and interests of the ‘Murdoch Media Empire’s’ opposition to their interests versus the NBN. Most if not all of Kieran’s predictions on the NBN have sadly come true. One of the the other great early storylines we pursued were the various machinations at the ABC, such as the censoring of Jon Faine. One of my all-time favourite stories is still Nancy Cato’s lament in Looking for my Aunty. It touched me in ways that only good writers can, by making that emotional connection that comes from speaking from the heart. It was an important story because we were starting to lose something precious. The ABC was going down the same slippery slope as Fairfax in following News Corp’s daily agenda setting. (This was before The Guardian set up a local politics site to rebalance the reporting somewhat). The ABC is still petrified by attacks from the right, but here on No Fibs writers like Nancy, who genuinely cared for the ABC, were getting messages out that needed to be heard. Federal elections only happen in capital cities and marginal seats, or so it seems judging from the MSM coverage. In May 2013, we were fortunate enough to get funding from Macquarie University to cover the upcoming federal election for running a citizen journalism pilot project. The project was based on getting local people – volunteer citizen journalists – covering local issues from a local perspective in 14 electorates. What we did with this project was different on so many levels. What we set out, and mostly achieved, was to provide a unique lens into electorates that were not necessarily marginal or interesting from a national news media point of view, but were relevant and important to the local community. Our local citizen reporter Wayne Jansson was new to reporting and had to learn on the job how to do the job. He ended up reporting the biggest story of that election and he did it brilliantly. I myself could see some parallels between Indi and No Fibs. To me, Indi represented one of the few truly remarkable and uplifting stories of election 2013. 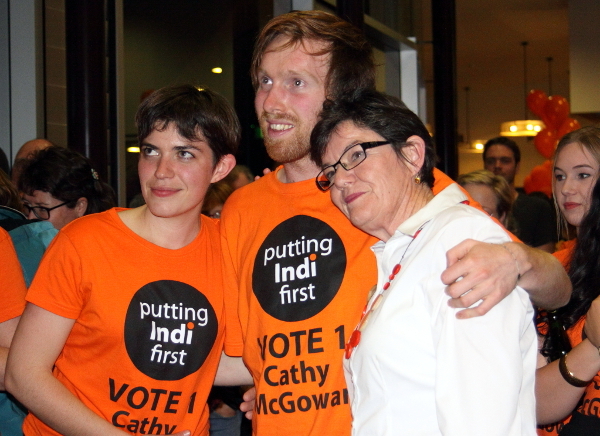 It was the small community-based, genuine and authentic Voice for Indi movement of Cathy McGowan up against the might of the establishment Liberal Party and high profile and seasoned campaigner Sophie Mirabella. Here was the MSM, the press gallery bubble, travelling all around the country, spending the big bucks on pre-digested news products selling the same old tired narrative. Against that, our little No Fibs site, with a rookie citizen reporter, published the biggest upset story of the year. Election over and out…what now. For those progressives who engage with and care about politics it’s time to drown sorrows, go on holidays or shred your humanity playing blame games or clawing members of the winning team. For the media, it’s time to write the same story that Labor has lost over and over again, throw in some blame analysis and, of course, record the pathos and triumph of a changing of the guard. Lots of colour there. Please, let’s do something different, for all of us. Voters actually know very little about what a Coalition government would do. Tony Abbott is on the record many times saying he will not renege on commitments to voters, but he hasn’t made many, really. His Real Solutions booklet is very light on policy detail and there’s still no sign of substantive health or education policies or what the Coalition plans for the ABC and SBS. We have to ask ourselves, who does the media serve? When for 3 years we had a government party self-destructing and an opposition party handed power on a platter, what was the role of the MSM? Sure, report on the destruction with glee when it is a circus and sells papers, negative stories always do sell better, but whose job was it to ask what the anointed successor might do when in power? And it is this question, knowing intellectually that the race was long over barring some miracle, that wasn’t being answered. Everyone knew the game that was being played by the Liberal Party was a small-target strategy which hid the real agenda. The Labor Party would have done the same, it is politics after all, but why not dispense with the pretense and seek the answers about the real agenda? We the people were not being served because the MSM deserted its duty of seeking the truth and reporting it. It failed in its role as a democratic institution to inform the public so that they could make a better and informed decision. After the exhaustive high of the election marathon, Margo and I were wondering where we should we take No Fibs next? The nature of the Seat Report Project meant we got to work and also had to rely on a wonderful new bunch of people. Some of them now form the core group of volunteers running No Fibs today. People like our chief reporter Wayne Jansson and our sub-editor Michael Burge. Michael runs the sub-editors’ team and even wrote a detailed time-saving design and submission guide for contributors. Current Affairs reporter Errol Bandt helped re-organise and improve aspects of the social media strategy post-election. We continued to cover some more electorates in elections: Rudd’s Griffith by-election was covered by CJ Jan Bowman who is also published in the local paper there; the West Australian election re-run was covered by CJ Guinevere Hall; and the Stafford by-election was covered by CJ David Marler, our Queensland politics reporter. Margo deserves a lot of credit for her passion and dedication to online journalism. Her great news judgment and nous as the No Fibs editor in chief and publisher has meant No Fibs was right at the heart of the story with #IndiVotes, and sometimes ahead of the story as with #leardblockade. She pursued the stories from the Ashby saga to Abbott’s book promotion rort (EXCLUSIVE: Abbott forced to repay $9,400 he charged taxpayers to promote his book), which incidentally is still our number one top traffic story of all time. No Fibs pursued ABC stories through professional journalist Peter Clarke, The Citizen Journalism Seat Projects project and a CSG Project. The election coverage funding also became a reality due to Margo’s network. 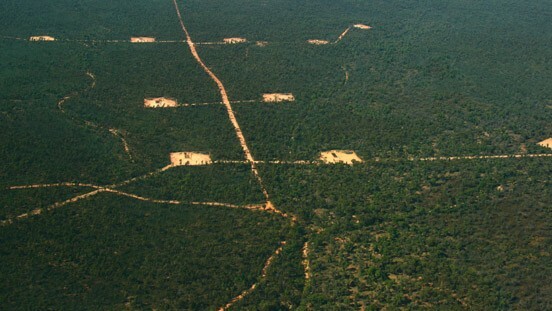 The decision to employ former CJ Seat journalist Stephanie Dale to cover the #CSG issue for No Fibs led to a renewed focus on citizen activism for environmental protection. This was further expanded when Margo covered the #leardblockade from the inside as an embedded journalist. She used only Twitter to document this story, which ended up in the MSM when the mining approval process came to the attention of ICAC. I collated the tweets in Storify and published them as posts. Whereas No Fibs is partially following the news cycle, like everyone else in the online space, our focus is unique. By covering the troubles at the ABC or our original election reporting from citizen journalists, No Fibs provided additional angles to bigger stories. We were ahead of the story and the MSM on the #IndiVotes story and the #leardblockade, and helped push the #SPCsunday social media campaign to a successful outcome and also correctly judged the importance of the #MarchAustralia movement. March in March was misjudged by the MSM as just another small protest march of ‘Abbott Haters’. It received minimal coverage initially, but with the August marches, it has now attracted 200,000 people over the span of three marches and has received a lot more attention. I believe there has always been a need in the market for covering politics from a more progressive viewpoint. The conservative side of politics is already very well catered for with the News Corp media empire owning a majority of newspapers in this country. The obvious candidate for catering to this more progressive audience was always Fairfax, but Fairfax has never really seized this obvious market segment until The Guardian launched in direct competition to them. The ground-breaking Webdiary was just another of the many opportunities that Fairfax let slip. Because many of the MSM companies have drastically sacked staff and cut resources, many of their buildings still have their lights on but there are few people left inside. The Fifth Estate has been able to partially fill the gap, with an obvious limitation of the amount of on the ground reporting resources. But as No Fibs has proven, some of this gap can be filled by volunteers in some circumstances. Whereas new media and Twitter used to be arrogantly dismissed by the MSM, these days they rely more and more on social media for content, ideas, gauging the mood of the public on issues and even for crowd sourcing, by necessity. Indicative of this were Margo’s photos taken on location at #leardblockade that were used to illustrate the ICAC breaking story. Media new and old are not necessarily here to fight the battle between good and evil, but they can shine a light on it. Together it can be a brighter light! I am very proud of my contributions to new media and No Fibs. I was able to empower other people with the digital tools to tell stories that needed to be told. I was also able to do my little part in helping Margo fulfill her vision. In the end, maybe none of it matters. But at least we had a go and maybe were able to put a little dent in the universe? In a piece like this it is difficult to give credit to all the wonderful No Fibs people who volunteer their time behind the scenes to make it happen. They know who they are and I am grateful for all their contributions. I want to salute one such unsung hero who was instrumental in getting us started and that is Jane Cattermole @janecat60. Her great help in the early days has not been forgotten. Thank you all for the magnificent work at NoFibs. It is very much appreciated. We would not be here without our Geek. Great journey, thanks for telling it!